Bérénice Magistretti for VentureBeat: Picking apples may seem like a fun weekend activity, but it’s actually backbreaking manual labor. Abundant Robotics wants to help agricultural growers shoulder this task and today announced funding of $10 million, led by GV, to commercialize its apple-picking robot. Picking apples may seem like a fun weekend activity, but it’s actually backbreaking manual labor. 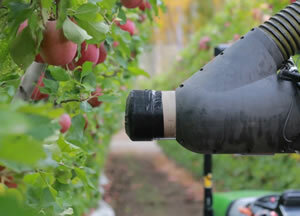 Abundant Robotics wants to help agricultural growers shoulder this task and today announced funding of $10 million, led by GV, to commercialize its apple-picking robot.